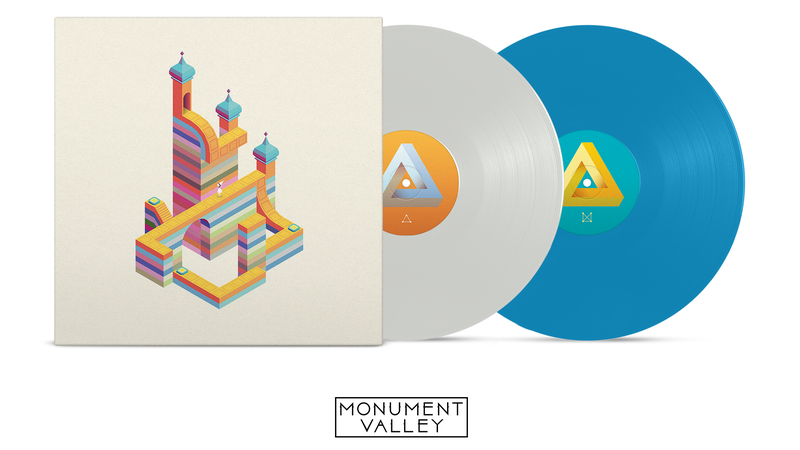 In less than 24 hours, you’ll be able to order the Monument Valley soundtrack on vinyl. That’s right. You can an iPhone app’s music in the form of a vinyl record. The double LP costs $40. Obviously, the hipsters have won. This isn’t a bad thing—or at least the bit about the record isn’t. The Monument Valley soundtrack is wonderfully soothing and certainly good dinner music. Records are also a terrific medium and probably the only worthwhile way to own music. To boot, the excellent graphic design that makes the game so pleasing to look at appears on the dust jacket. There’s even new art! Now about that hipster thing. The subculture that embraces obscurity and eschews enthusiasm is no longer obscure or apathetic. In fact, adopting that hipster look is a great way to sell anything from overpriced, poop-flavored chocolate bars to beer that tastes like bile. Weird is so mainstream these days that the countercultural normcore movement seems like a cry for help being whispered by an entire generation that’s dying to be unique. Some young hopefuls are probably even buying the senseless invention that lets you copy vinyl records onto cassette tapes. Meanwhile, some hipster at Urban Outfitters headquarters is lining his pockets with the spoils of our forgotten youth. That’s neither here nor there. Enjoy the victory hipsters. And dance your magic dance to the sound of Monument Valley singing its sweet computerphone song from the buttery grooves of this bright blue record. The future is nostalgic, and that’s okay.